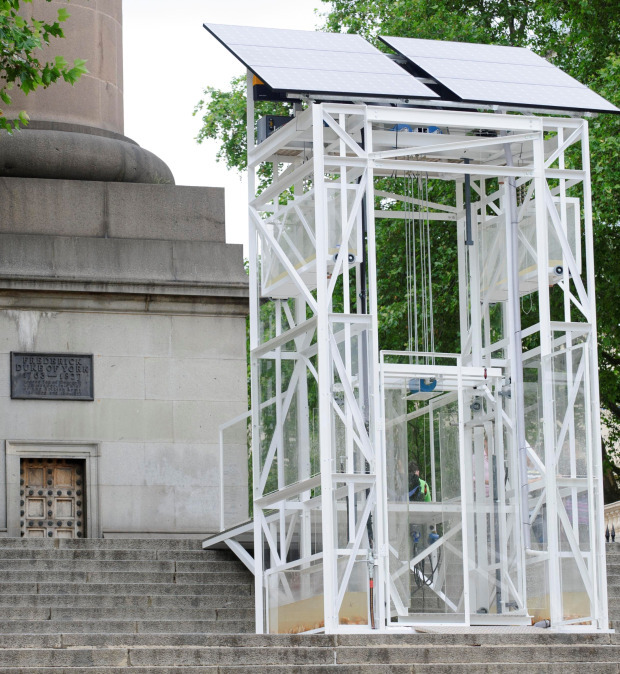 The London Festival of Architecture is on in the British capital at the moment, and one of the smaller pieces of brilliance on show is architect Matthew Lloyd‘s zero carbon elevator. It’s a clever little contraption that uses water and solar power to lift wheelchair users up the (for them) previously inaccessible Duke of York steps next to the Institute of Contemporary Arts. The perspex and steel structure weighs three tons and was especially difficult owing to the steps’ listed status. (Yes, in England even stairs can have protected status.) A quick phone call to the Royal Engineers Corps soon sorted that out, however. 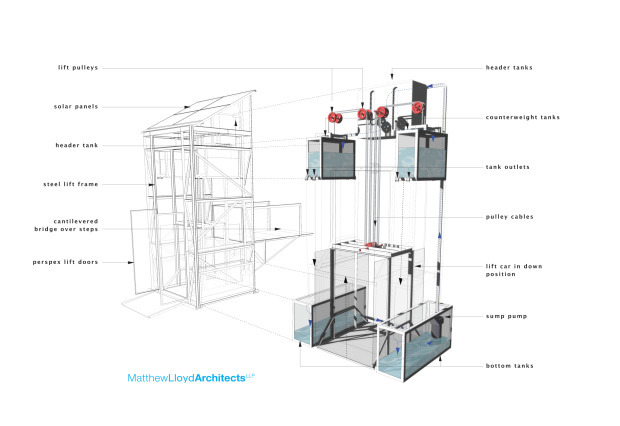 Two large solar panels atop the structure provide energy to the elevator, which has water-filled weights to counterbalance the elevator car itself. The Festival itself donated $15,000 to the project, which was inspired, says Lloyd, by the experiences of his father when he was confined to a wheelchair. 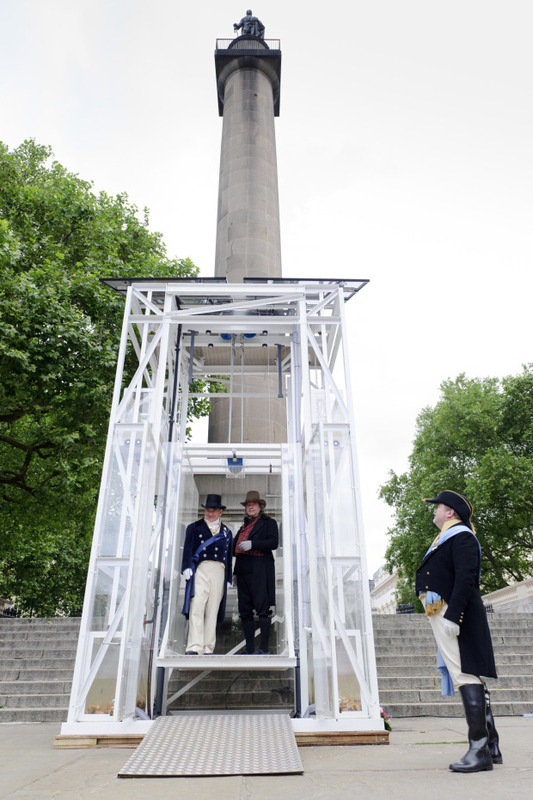 The lift was launched last weekend by uber-architect Will Alsop (in the elevator, on the right, dressed as architect John Nash, the brains behind so much of Regency London) and a couple of other notables. Its creators are hoping to get their baby patented, as well as providing three lifts for the London Olympics, whose much-trumpeted green credentials are currently looking a little, well, fossilized.